All the team at Queen Elizabeth Park have been nothing but kind, helpful, thoughtful, considerate and respectful. What a difference moving our father into Queen Elizabeth Park made to all our lives. Thank you for all the care, compassion and kindness given to mum during her stay at Queen Elizabeth Park. You are all a credit to your professions. It never ceases to amaze me the lengths the staff go to brighten the lives of their residents, which is so appreciated by them and their relatives. I take immense pride in my home and the team for all that we offer and achieve each and every day for our residents. A warm and comfortable environment with that homely feel. Located in the heart of Guildford, Surrey Queen Elizabeth Park care home has so much to offer. 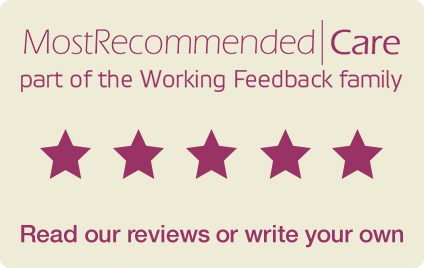 Queen Elizabeth Park Care Home is an award-winning care provider offering quality residential, nursing and dementia care that has been rated as ‘Good’ by the Care Quality Commission (CQC) and rated ‘Outstanding’ in Responsive Service. Situated in the heart of the local community in Guildford, Surrey we welcome visitors to experience just what makes Queen Elizabeth Park the place to choose for high quality care. A world away from what many people would consider a typical care home, Queen Elizabeth Park offers an environment that is decorated to a high standard with a real homely feel that is enjoyed by residents, their families and friends. Our Home Manager Heather De-Ninis has a wealth of experience in delivering high quality care and is supported by a skilled and experienced team who undertake regular on-going accredited professional training to ensure that the care provided to our residents is of the very highest standard. There are many compelling benefits to making Queen Elizabeth Park your new home. Find out why our residents chose us.